How to attach a StoryServer document to an email. 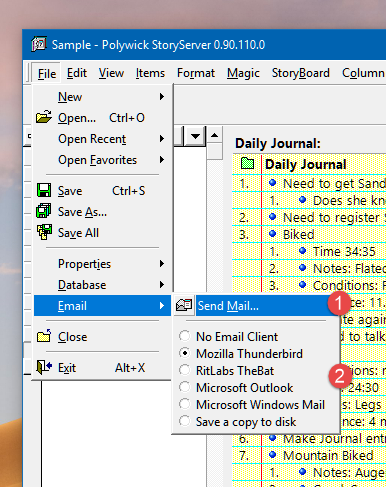 How to select an email client to use. This sub-menu allows you to attach StoryServer files as attachments to your email client. 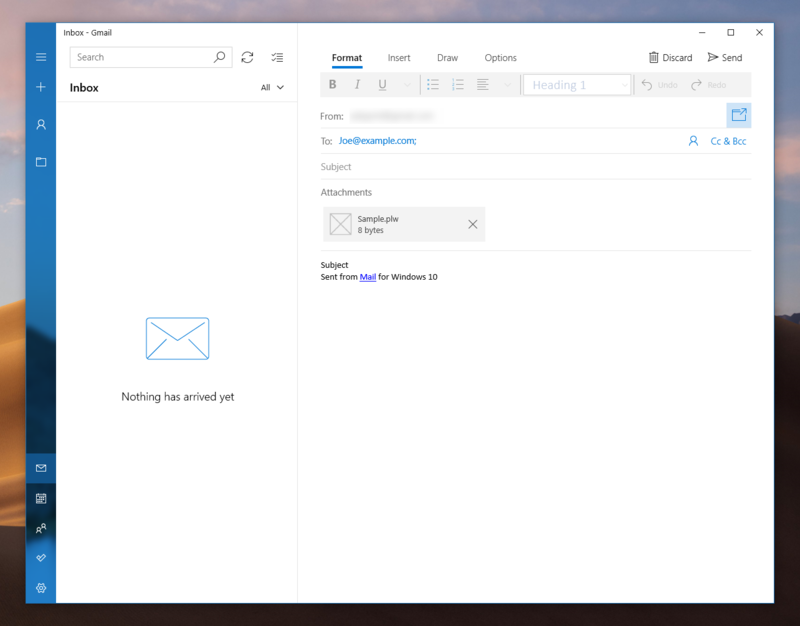 When you click 'File > Email > Send Mail…​ ', StoryServer connects with your email client, creates a new email, to attach a StoryServer file as an email attachment. This option is available if you are using Microsoft® Windows® 10. If you are using Windows XP, 7, 8, and wish to use Windows® Mail, please consider upgrading to Windows® 10. 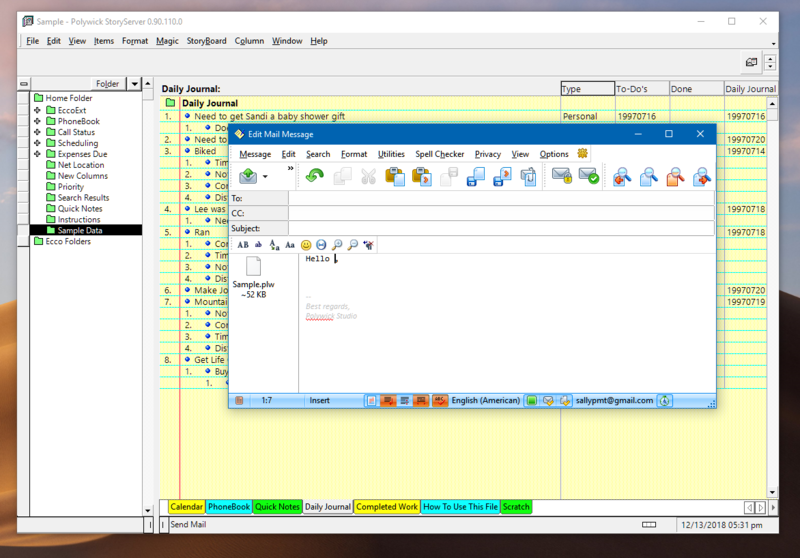 If you are using Microsoft® Office®, StoryServer can create an email to attach StoryServer files to Microsoft Outlook®. 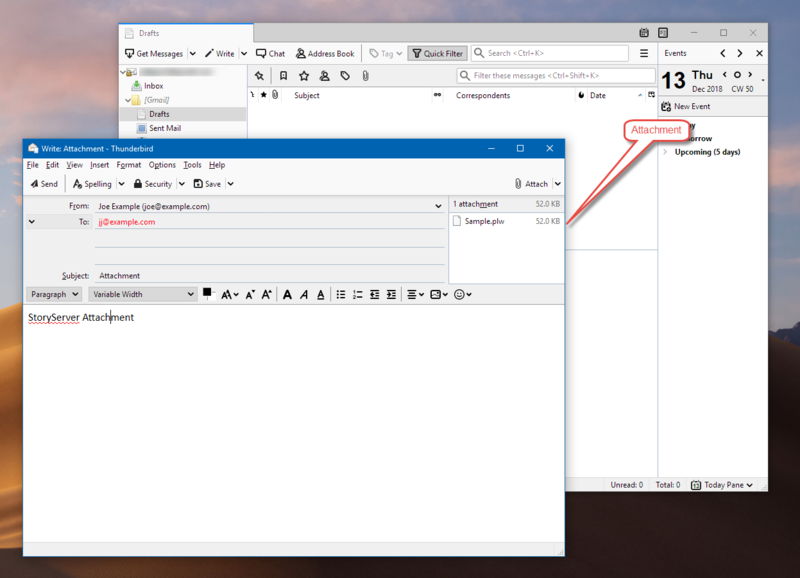 If you are using Mozilla® Thunderbird®, StoryServer can create an email to attach StoryServer files to Thunderbird®. If you are using RitLabs TheBat®, StoryServer can create an email to attach StoryServer files to TheBat®. If you select Save to Disk, you will obtain a duplicate copy of the same file for you to prepare your file to manually attach to your email client. If you select no email client, you get instant feedback, the Send Email option is disabled. StoryServer doesn’t support Eudora®, AOL®, CompuServe®, Lotus Mail®, CC:Mail® as they are obsolete. 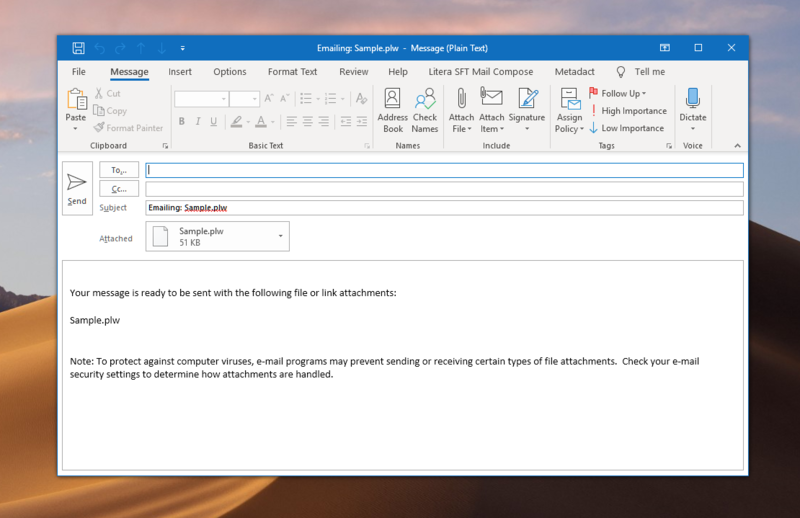 If your email client supports MAPI, please select Microsoft Outlook. 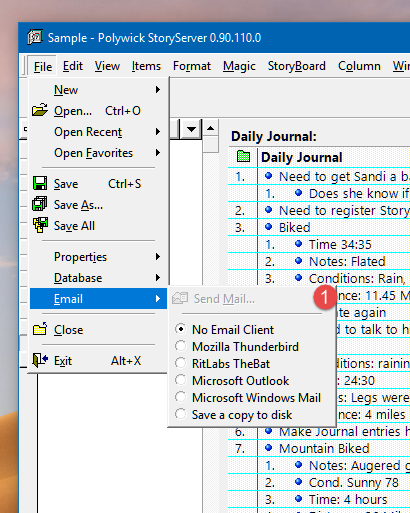 Your MAPI-compatible Email Client will attach the StoryServer to a new email window.